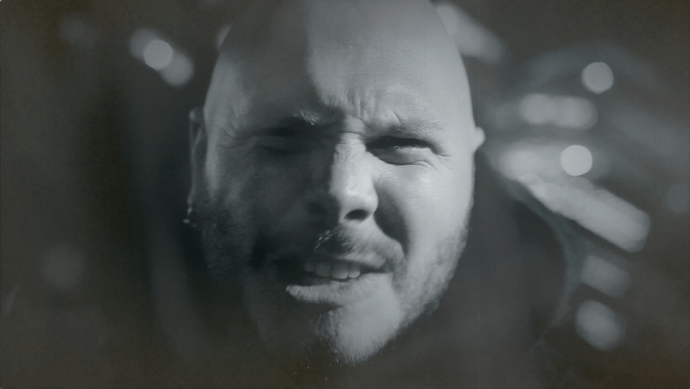 Yesterday Soilwork also gave us a new video, for a song called “Enemies In Fidelity” from their new album The Ride Majestic. This is one of the songs that our man Andy Synn, in his review, thought lacking in an album that he found mostly quite lovable. The video was directed by Hannah Verbeuren and features footage from the band’s recent visit to New York City. It premiered, of all places, at Yahoo! Music. Yesterday Ghost also released a new video, this one for “From the Pinnacle To the Pit”, off the band’s latest album Meliora. The video was directed by Zev Deans, with animation by Madeline Quinn. The video also closes with a final shot inspired by the artwork of Zbyszek Bielak. Great song, and the video is fun to watch. 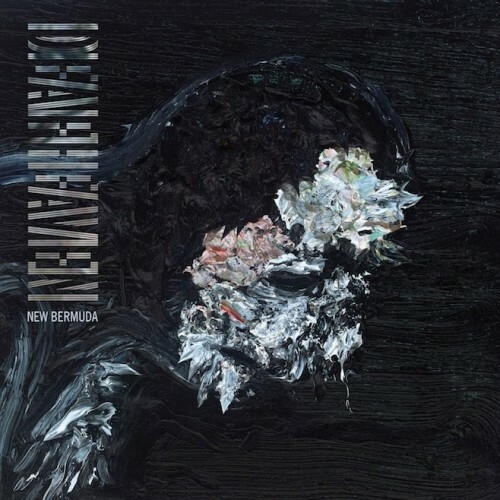 And finally, to finish this little collection, we have a song by Deafheaven called “Come Back” from their album New Bermuda, which will be released on October 2. It has its buzzing, blasting, howling moments — in fact, quite a lot of them at the beginning. And in the course of the storming, it also carries a slow, sweeping, sad melody. When the storming breaks, the band shift to a combination of jabbing riffs and moaning chords, and eventually into a softer, drifting, beguiling guitar instrumental that makes up the song’s second half. I like the track. What do you think? I feel a bit harsh saying that song was “lacking” in a way… it’s a perfectly solid, perfectly adequate, piece of stand Soilwork-ery. I like the lead part. But the pre-chorus and chorus melodies are pretty stock and forgettable. They remind me of the lesser parts of the Stabbing The Drama era, where it seemed like the songwriting occasionally was driven by a sense that “well, I suppose we SHOULD put some clean singing in this part…” rather than being inspired by an actual melody. As I said, solid song… but not really up to the same standard as their best material. I like parts of that Deafheaven song (and I liked the debut album a lot), but they still seem like a very middle of the road example of the whole “Post” Black Metal thing. Not much character to them (which might be why so many people like them… they’re a blank slate onto which you can project whatever interpretation you feel like). Fantastic song and video by Behemoth! Loving all of these. The Behemoth video is haunting, and reminds you that The Satanist was easily one of the best of last year. Psyched to catch Ghost in a couple weeks on October 3rd, and Deafheaven on October 30th (my birthday!) with Tribulation once I’m back in Chicago. I agree with Leperkahn, Behemoth’s The Satanist was easily one of the best albums released last year! Sadly I can’t get the new Soilwork video to play but I’m sure I would’ve enjoyed it. I’m also really liking the new Ghost record. I figured I’d never be apart of their fan club but this newest album has me sold. However Deafheaven still hasn’t been able to really sell me on anything they are doing. Agreed. At least, since Sunbather but not counting From the Kettle to the Coil. My biggest problem with Deafheaven is all the videos Ive seen of them live. They just don’t look badass or awesome or brooding or anything. They look like Pitchfork kids. And no disrespect meant. Thats not like a mutant trog look, but then… thats the kinda look I do sort of expect from my black metal. Some cave dwelling malignant spirit thats only sustenance is a steady stream of negativity. Or, ya know, at least a guy who looks like they could take a few stab wounds and keep riffing. That said, pretty into the deliveries they’re laying down on this new one. That’s my problem with No Clean Singing. Ever see Islander? The dude is HIDEOUS! Totally not the look I expect from an extreme metal blogger. That said, I’m pretty into Andy Synn and Leperkahn. Shame.. I always envisioned him as a Chris Carrabas type. Ha, I look about as kvlt as the Deafheaven dudes do. …how far into? 4-5 inches? When I watched the Behemoth-video I was really disturbed and worried about the girl, wondering what kind of skeletal disease or abnormality she suffers from. Then I realised that she’s quite beautiful and it’s all CGI. Doh!